Nintendo took an old-school approach to the Nintendo Switch by using cartridge-based games. The benefit of cartridges is that you don’t need to install them directly on the system. When you pick up your console and a game — namely, The Legend of Zelda: Breath of the Wild — you can just pop the cartridge in and play without having to install any data. If you choose to download Breath of the Wild, on the other hand, the file size will devour a whopping 13.4GB. Even if you plan to buy physical copies of most AAA games, the console’s 32GB of storage space will evaporate rather quickly if you account for system updates, game patches, and eShop games. Thankfully, the Switch has a MicroSD card reader that allows you to expand onboard storage. Here’s what you should consider when picking out a MicroSD card for your Switch, along with a few recommendations. The Switch supports MicroSDHC cards, as well as MicroSDXC cards. What’s the difference? Storage limits. SDHC stands for Secure Digital High Capacity, but these cards top out at 32GB. SDXC stands for Secure Digital Extended Capacity, and these cards store anywhere between 64GB and 512GB. Depending on your gaming habits, 32GB of additional storage via MicroSDHC may be enough for you, but for those who plan to use the eShop, MicroSDHC probably won’t cut it for very long. How much storage space do you actually need? If you tend to buy AAA releases physically, and only purchase eShop titles occasionally, a 64GB card should do the trick. For those who download eShop games regularly and the occasional AAA game digitally, it’s probably best to jump up to a 128GB card. If you expect to download a good portion of AAA games, you may want to consider at least 200GB. 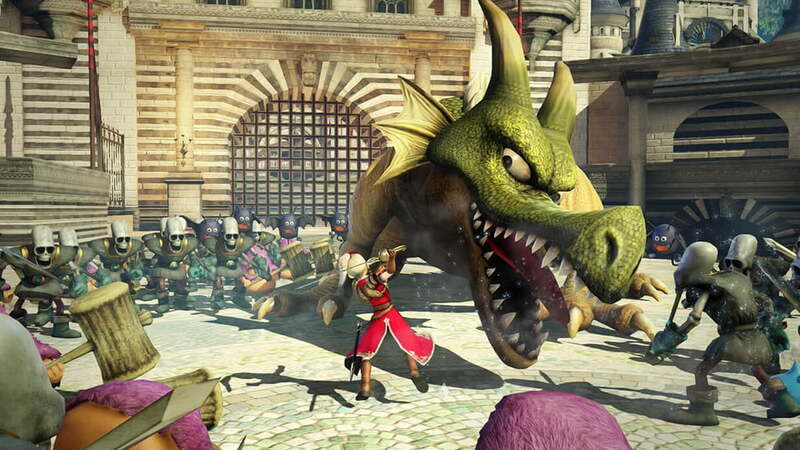 For instance, Dragon Quest Heroes 1 and 2 will eat up 32GB on its own. As of now, the largest MicroSDXC cards available at retail are 512GB, but keep in mind the Switch supports up to 2TB MicroSDXC cards. Besides storage, another incredibly important factor in choosing the right MicroSD card is speed. Speed classes are assigned a grade — 2, 4, 6, or 10 — to note a card’s minimum baseline speed. A grade of 2 means a baseline speed of 2MB/s, a 4 means 4MB/s, and so on. For the Switch, however, you will want to only buy cards graded with a class 10 speed. Since the console will read games stored on the card, a class 10 speed card will likely mitigate lag and slowdowns. Now, just because a card is graded class 10, it doesn’t mean it’s only capable of reading and writing data at 10MB/s. Each MicroSD card also has a rated speed, which notes the maximum transfer rate, which is usually significantly higher than 10MB/s. Since we cannot predict how MicroSD cards will perform in the Switch — and it’s entirely possible that they will vary game to game — your concern should mainly be the class 10 speed. Also, if you find a MicroSDXC card with a UHS class grade, you’re in the clear. The grades range from UHS-1 (10MB/s) to UHS-3, sometimes with a 1, 2, or 3 printed on the front of the card instead of a 10. Nintendo recommends cards that are UHS-1-compatible and that have a transfer speed between 60 and 95 MB/sec.